← My newest CD project is done! Living like it’s gone is the task. How else you going to deal with the past? How else you gonna deal with the past? The Christian gospel is not as much about how bad we are as that God knows it and loves us anyway. Sin is not what lives on at the end of the day. Its moment is the middle of a Friday with a dark sky and a rugged cross and a man yelling, “It is finished.” But the last word is an empty tomb, followed by a hopeful church, a Holy Spirit, and a kingdom to come. So as Thanksgiving approaches, it might do well for us to think about how to defeat it in our lives. I want to offer two helpful practices from our faith that can be an antidote to cynicism. The first one is to “speak a new language.” This means learning some verbal restraint. We live in a noisy, talking society. Learning to be quiet is a strange thought for us. On the one hand this implies controlling the tongue. James 3:8 warns us, “but no one can tame the tongue– a restless evil, full of deadly poison.” Twitter seems to lead to more unnecessary conflicts than anything I’ve seen in a while, mostly because it is so easy to “speak before thinking.” Words are not intended to use without thinking. Learning to be careful with words is part of defeating cynicism toward others and even about ourselves. One of the ways we can do this is to practice “reframing” things. Cynicism has a language, the language of negation. We are often defeated before we start—our thoughts and words are laced with words like “can’t,” with criticism, defeatist language and hostile and demeaning words. We can begin speaking differently—maybe with less anger, more hope, and less reactively, less blaming, more acceptance of personal responsibility, more humility. Paul says in Colossians 4:6 “Let your speech always be gracious, seasoned with salt,” In other words, we can practice the verbal discipline of graciousness. Give the other guy the benefit of the doubt. Even if you’re proved wrong, you haven’t lost anything. Second, we can practice forgiveness. Forgiveness is a perspective in which nothing except the love of God has ultimate status. In other words, the hurts of others are put in their proper place and we work at releasing our emotions about it. This is a challenge, but it can work. Cynicism is seeing people’s failures and leaving them in full view of the world forever. We do this when we “label” people with something they have done to us or someone else and forever after that is what we remember about them. 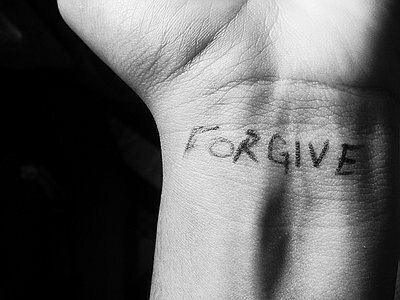 Forgiveness is not just letting go of the hurt, it is throwing away the label. Reframing and forgiveness are two steps toward a happier life in these difficult and stressful times. There’s enough to worry about without churning up more from within! The war of words is not won by cleverness or volume so much as by their lasting power to heal and change. Use them wisely, and never without considerable thought. Posted on November 13, 2012, in Anger, Conflict, Culture, Ethics, Forgiveness, Hope, humanity, Love, Manners, Modern Life and tagged "Forgiveness", cynicism, failure, forgiveness, Gary Furr, General Petraeus, hope, Lance Armstrong, politics, song, words. Bookmark the permalink. 4 Comments. Thanks, Joni. Apparently stones for throwing are selling right well at the moment.